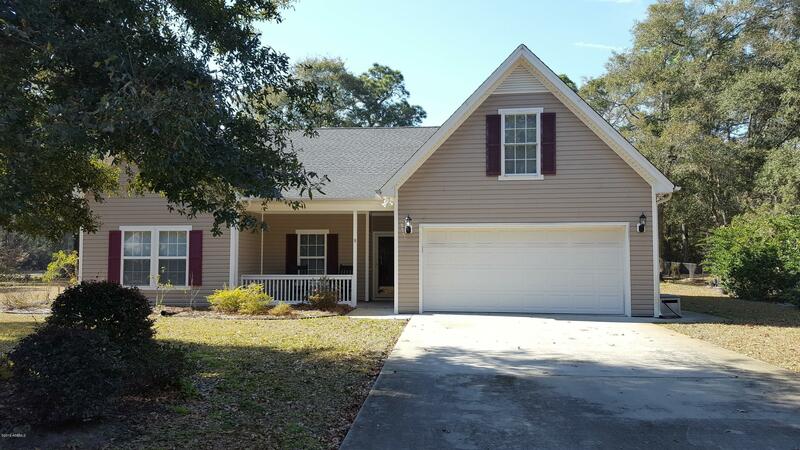 Move in ready in Royal Pines! Fabulous open floor plan with four bedrooms, OR three bedrooms with a bonus room over the garage. New HVAC in 2017, new stainless stove, microwave, and granite counter tops. Hardwood throughout the living areas and plush carpet in the bedrooms. The big backyard overlooks the 4th fairway of Ladys Island Country Club golf course. It also has an in ground irrigation system on well water. Located near the end of a cul-de-sac.